Yardage - Whole Yards Only Note ! If you need more than the 15 Yards we currently have in stock, please make a different selection as additional yardage is not available. In stock yardage is typically shipped within 2 business days. 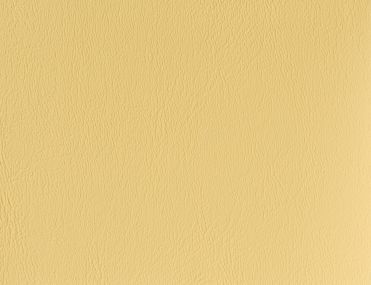 Naugahyde Chamea II Butter is a contract grade, furniture upholstery vinyl in Pale Antique Gold. It is manufactured to withstand high traffic areas in Hospitality, Corporate, Health Care, Education and Residential. The soft, pliable hand makes it comfortable and easy to handle. Chamea II is suitable for cornice boards, cushions, pillows, headboards and furniture upholstery. Please refer to the specifications below for performance ratings.